To be able to attract more registrants, we attended the socio - cultural event of a local university. So, on our event shirt for Dagan sa Kalilangan, we showed our video documentary. 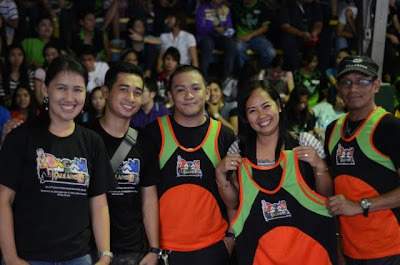 We hope that the presence of our race singlets shall attract other student runners too. So, join us for Dagan sa Kalilangan on February 26, 2012. For more details, you can check on GenSanRunClub.com.